zerzura writing table. unique writing table. custom made desk. The Zerzura Writing Table was named for a mysterious oasis long rumored to have existed deep in the desert west of the Nile River, in Egypt or Libya. In writings dating back to the 13th century, the authors spoke of a city which was “white as a dove”. It is said to be a city in the Sahara, full of treasure, with a sleeping king and queen. The city is guarded by black giants who keep anyone from going in and coming out. However, this may be a reference to the black Tebu people, nomads in Chad and Libya, whose ancestors used to raid oases deep in the Sahara. The Zerzura Writing Table looks like exotic treasure taken from the fabled oasis. Constructed of metal, the base has a beautiful texture, as though it was fashioned by a sculptor. The top is made of wood with a Melamine-lined drawer. 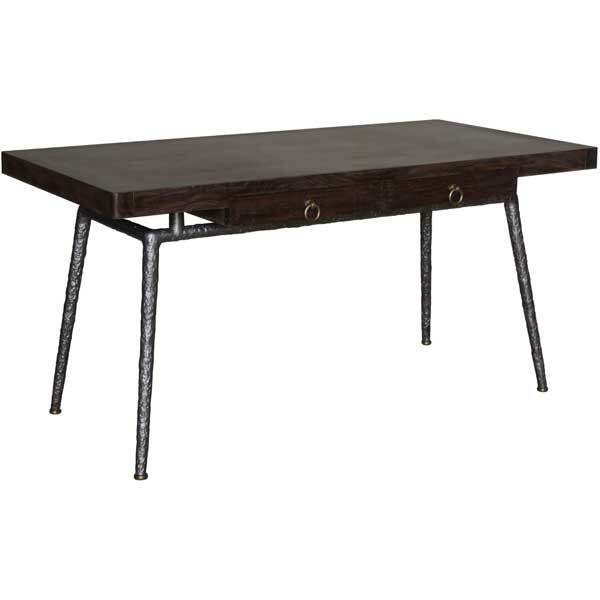 With its mystique and elegance, it makes an exceptional desk for upscale residential and hospitality interiors. Four polished bronze glides are provided which also serve as levelers – a useful feature when the floor is uneven. 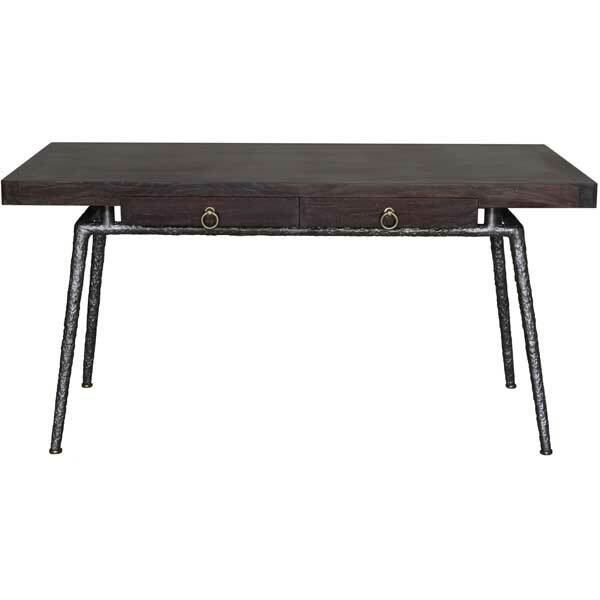 Offered in a variety of finishes, the Zerzura Writing Table was designed by Shah Gilani, ASFD. Custom sizing is available.